The general guiding principal around the decision of whether to or not to invest in solar over the past few years has been tied to the price of one’s electric bill. In general, if your electric bill is $100 or more it’s been argued to make economic sense and if it’s less than perhaps not. The reality however, is less simple. The $100 figure is based on the current cost of electricity. What about the future cost? 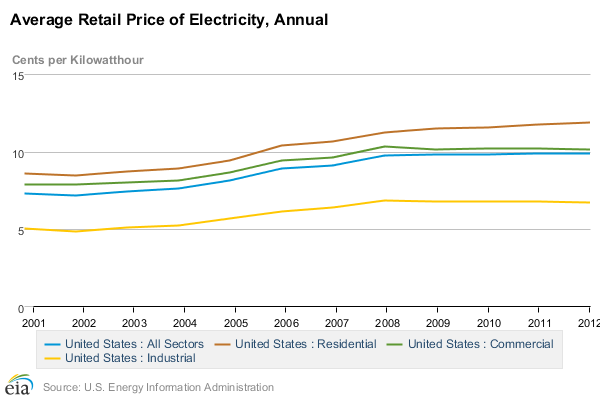 Looking at the EIA provided chart below, we can see that the trend for the price of electricity is upwards. By all accounts this will continue to increase in future years. It’s likely that the cost of green house gas emissions will be added in whole or part in the future which will increase the amount we pay for our electricity. Consider that some of our relatively cheap electricity, in particular that from nuclear reactors is waning as reactors are being retired while new ones are not being built to replace them. While people tend to think of gas as being better for heating than electricity, the truth is that gas is actually less efficient even though it is currently cheaper at least when comparing traditional heating of air and water. The optimal use of electricity is in the form of a heat pump. A heat pump takes heat from one place and moves it to another. This is more efficient than directly heating the water. The mechanism is similar to an air conditioner but uses less energy. For example, a hybrid heat pump water heater such as the A.O. Smith Voltex can provide an abundance of hot water for less than the cost of a traditional gas or electric hot water heater. Add this to a home powered by solar photovoltaic and you can really benefit from the savings. We recently had such a water heater installed and are experiencing more hot water at a lower cost than we paid with our traditional gas-fired hot water heater. We installed our new water heater as part of an overall energy efficiency upgrade and were able to get the majority of the cost including installation back as a rebate making this a phenomenal deal for us. This was thanks to the program offered by “Energy Upgrade California” and other options are available in other states. See the dsireusa.org database to see what incentives are located in your area. Now in the interest of full disclosure our water heater went into operation before our new solar array was activated. The increase in our electric use cost more than our decrease in gas use saved due to it moving us up to a higher tiered rate. 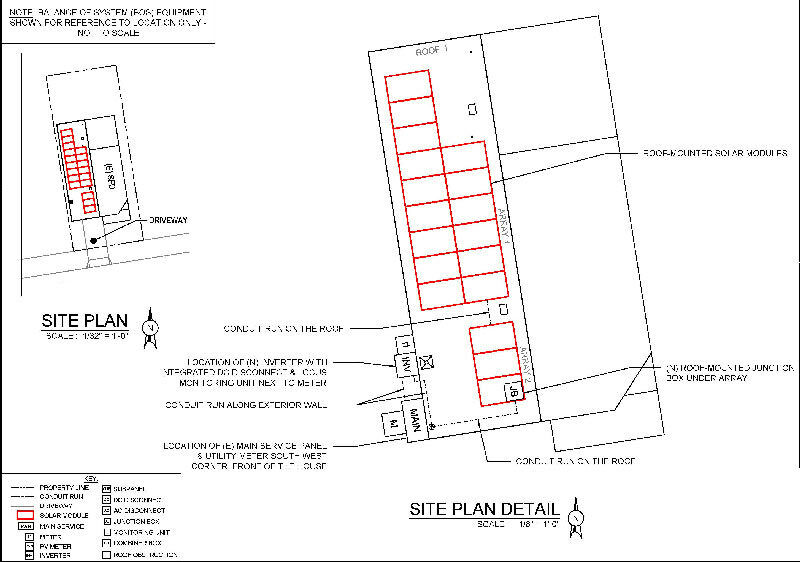 Once our solar array is online the little electric that we will use from the grid will definitely be at the lowest tier. 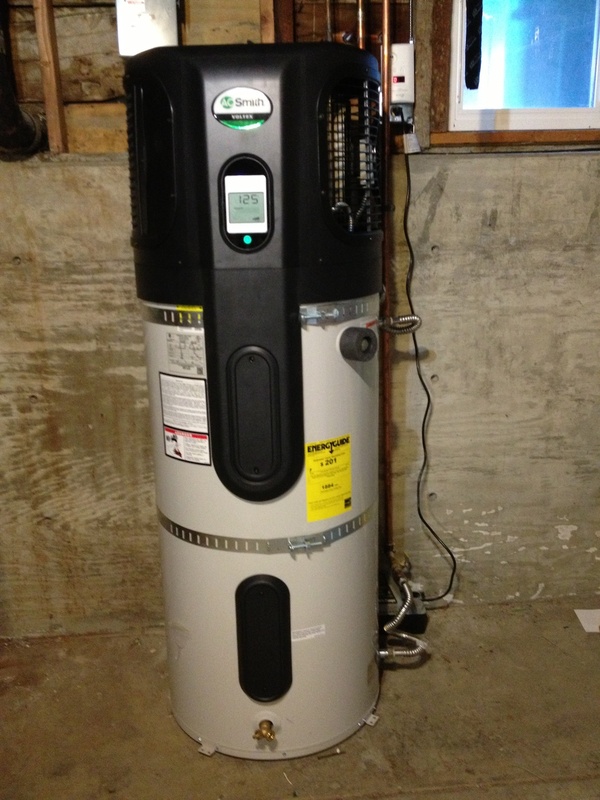 So if you are considering a heat pump water heater instead of gas, it may not save you money unless you have a lower kWh rate than we do in California and/or have a solar array you are using to generate power. We will also be switching to a time of use plan which will lower our rate in the morning and overnight while charging us higher rates in the afternoon through 7pm. This will lower our bill significantly as most of our use occurs outside of the higher rate window and our water heater only runs during and shortly after use of hot water which is generally first thing in the morning and later in the evening. 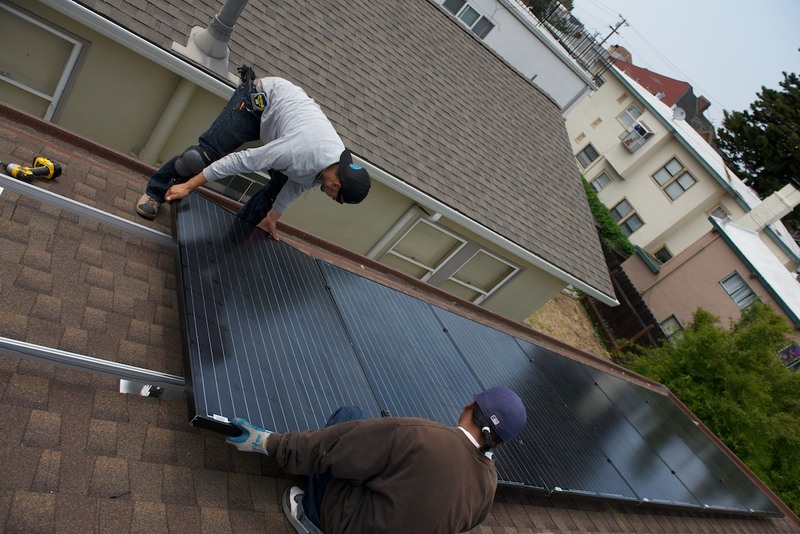 Solar would not make sense financially for most of us without the huge incentives that exist. The tax rebates are only the tip of the iceberg. With a leased solar system, the legal owner of the system (either the solar provider or a bank) is currently able to not only receive all of the federal and local rebates, they also can depreciate 50% of the cost of the system in the first year of the lease! The rest of the depreciation can occur during an accelerated schedule of just a few more years despite the fact that system will generally last in excess of 25 years! Better yet, after the most common, twenty year lease term expires, the system will be worth less than the cost of labor to remove it and return the roof to pre-installed condition. This means that one can expect to keep the system without additional charge after the lease expires. The other benefit of a lease is that most companies include inverter replacement after ten years without additional charge and performance monitoring and warranties throughout the duration of the lease. The very best prices are on pre-paid leases in which the full set of payments is made at the beginning of the lease. The price is generally much lower than a cash purchase would be even when considering rebates. In our case we purchased premium American designed and manufactured Suniva panels which inflated our system cost. 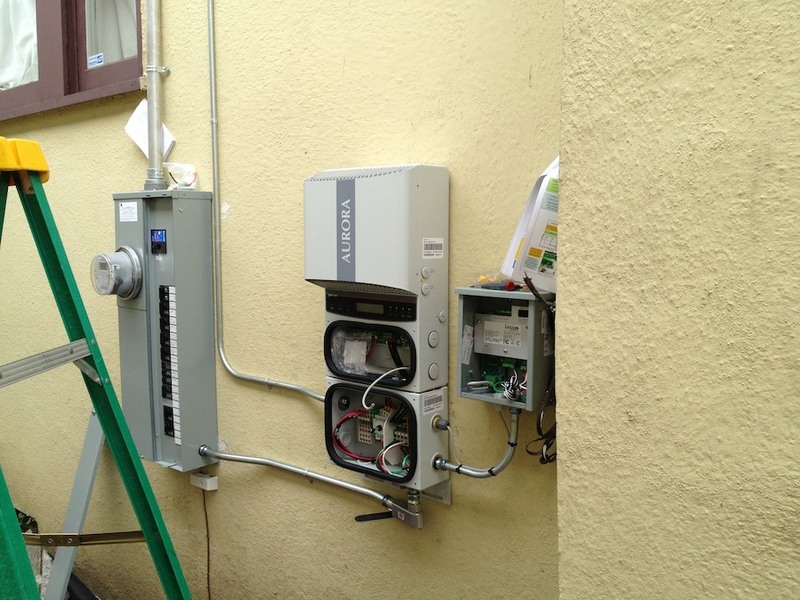 Even with that additional cost our price for the system we leased came to just $2.50/watt from Sungevity. At that price we should have a full payback of our investment in just a few short years with immunity to future increases in the price of electricity for many years to come! Here’s a run-through of installation day including receipt of panels through installing them onto rack-mounts. Amazingly, they installed all 4.68kW of panels in just one day! 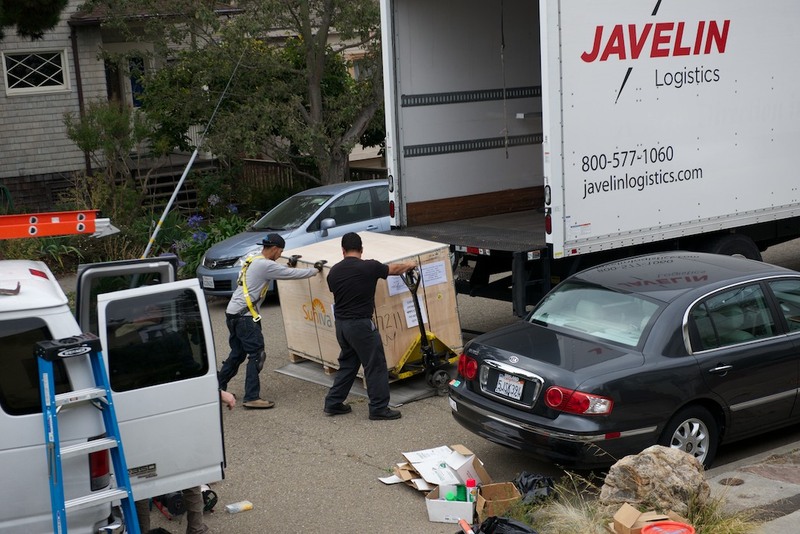 The installers were Sunburst Solar and contracted by Sungevity. They were courteous, patient with my questions and chill about my coming up on the roof to watch and photograph. Our system exceeds our historical demand by a fair bit but with our second EV coming in the near future (more on that in a subsequent post) and an intentional shift from some gas appliances to electric, we should be taking full advantage of our considerable production. Over the next few weeks I’ll be posting about the changes we made, why they are a good idea and of course, about the new EV that’s coming soon! Big thanks to my awesome project manager (and fellow Presidio Grad) Stuart Fishman and Solar Consultant extraordinaire Nadia Michalack who couldn’t have made this experience any better! Thanks also to David Julius whose installation team did an impeccable job! 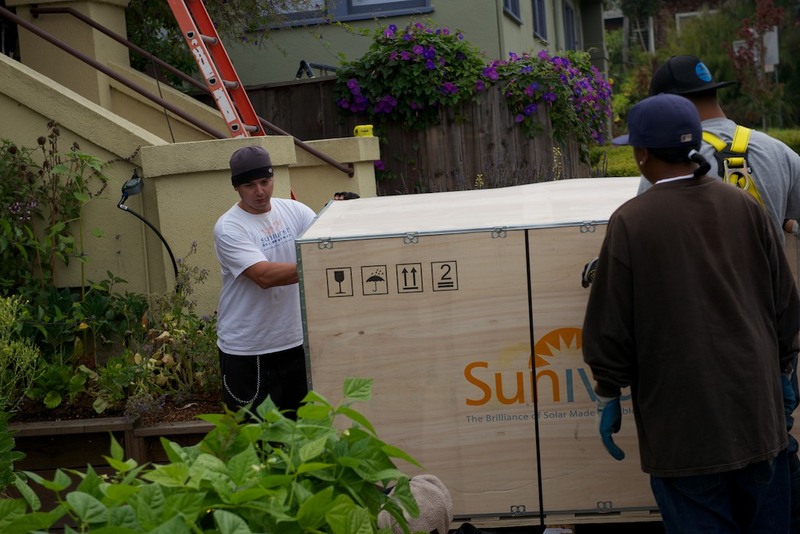 The Suniva Panels arrive and everyone on the Sungevity install project gets busy! 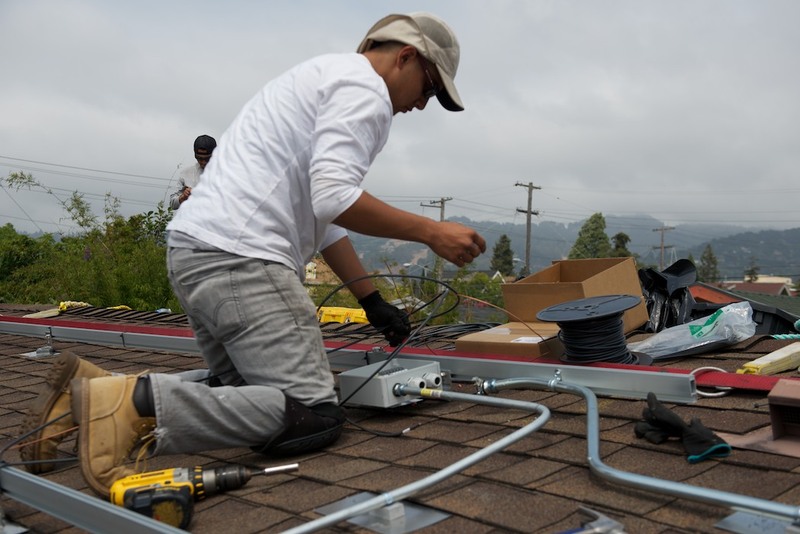 Installer prepares wiring and junction box. I’ve been interested in Solar power since I thought of doing a solar thermal demonstration project for our school science fair project in 5th grade. That project didn’t quite get off the ground due to problems getting some of the parts in time, but my fascination with harnessing the power of the sun grew. Years later, I discovered portable thin film panels that could generate power and used them to provide energy for a project in the black rock desert and then created a solar powered Sukkah a number of years ago. When my wife and I purchased a home just over a year ago, I began thinking about solar immediately. After getting settled in and taking care of some immediate projects I started investigating alternatives. I considered two local companies, SolarCity and Sungevity. Ultimately I decided on Sungevity for a number of reasons including my awesome salesperson (solar consultant), Nadia who really went the extra mile to address my questions and concerns. I also really appreciated the option to use American designed and manufactured panels from Suniva. I’m not opposed to imported products when they make sense to me, but the idea of using energy and carbon emissions to ship many panels from so far away as China seemed to at least partially negate the benefit of installing solar. Beyond that, it seems that as demand is growing faster than some companies in China can manufacture panels, they are often subcontracting manufacturing from smaller Chinese firms which are likely to use a more toxic and polluting process than American manufacturers can get away with. I also liked that the Suniva panels are lighter, smaller and generate more power reducing the load on my roof and increasing the amount of energy I could generate in limited roof space. Sungevity has some awesome financing options. For those who can take advantage of it, the prepaid lease is the most attractive as it costs less than buying the system outright and includes both monitoring and a free replacement of the inverter in ten years. I’m also banking on the fact that my panels won’t be worth enough to warrant removing them after the 20 year lease expires so they will become mine for free or next to free.